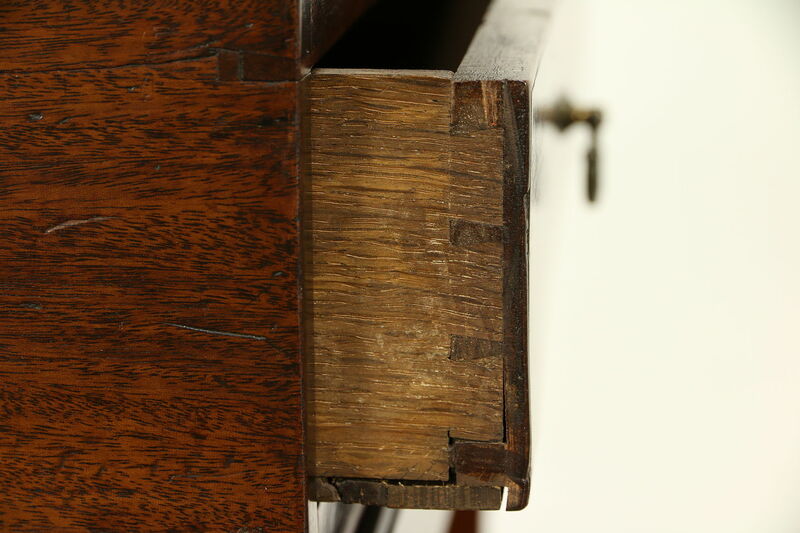 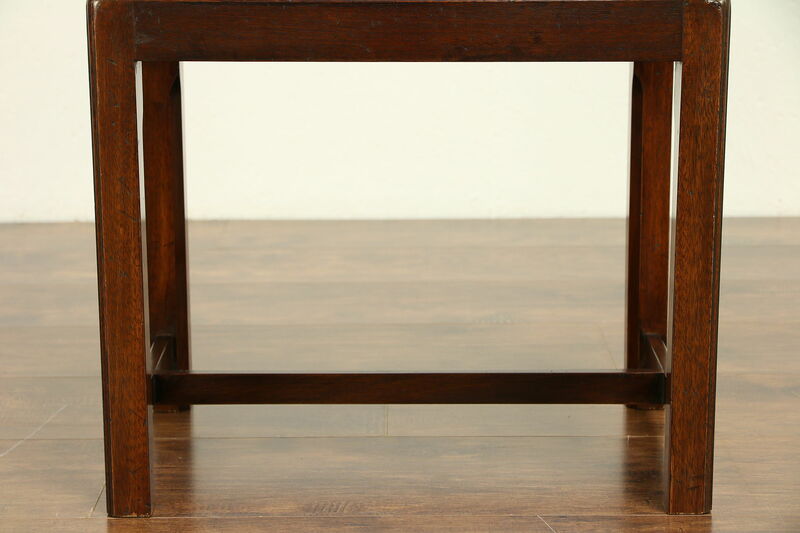 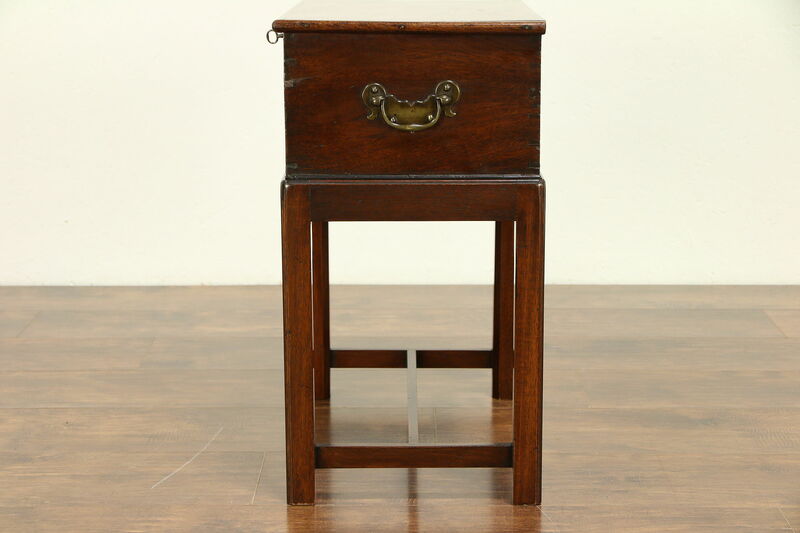 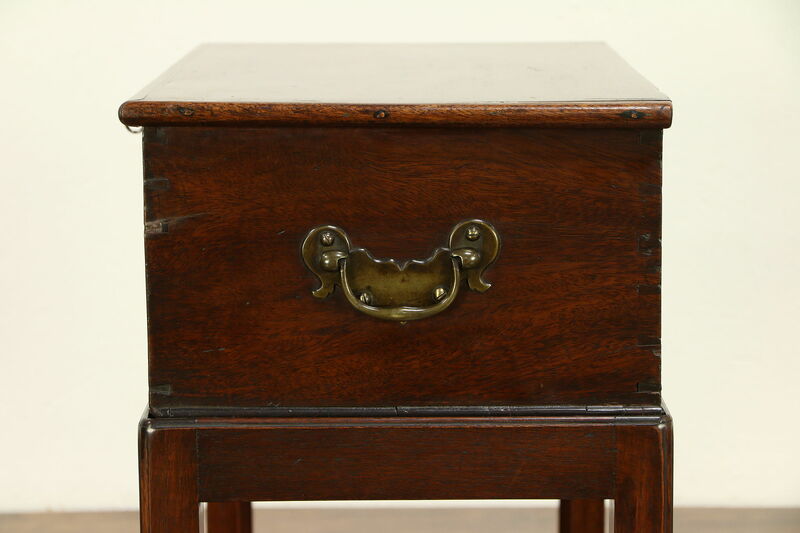 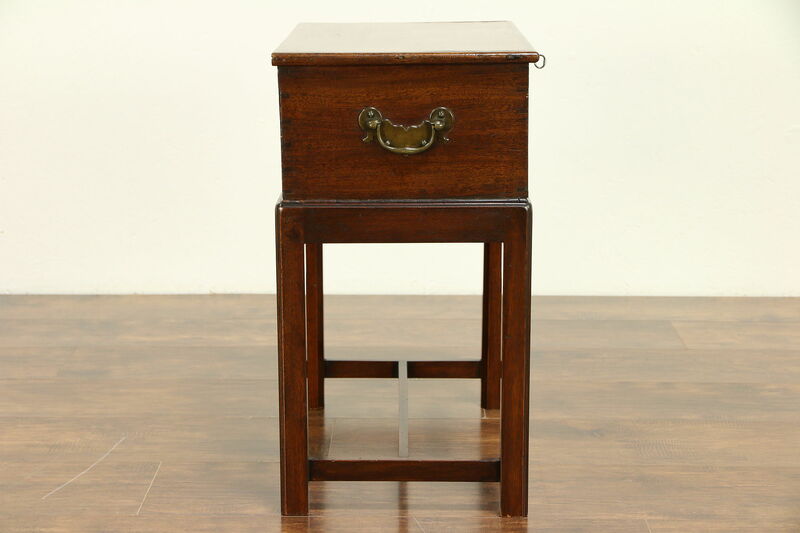 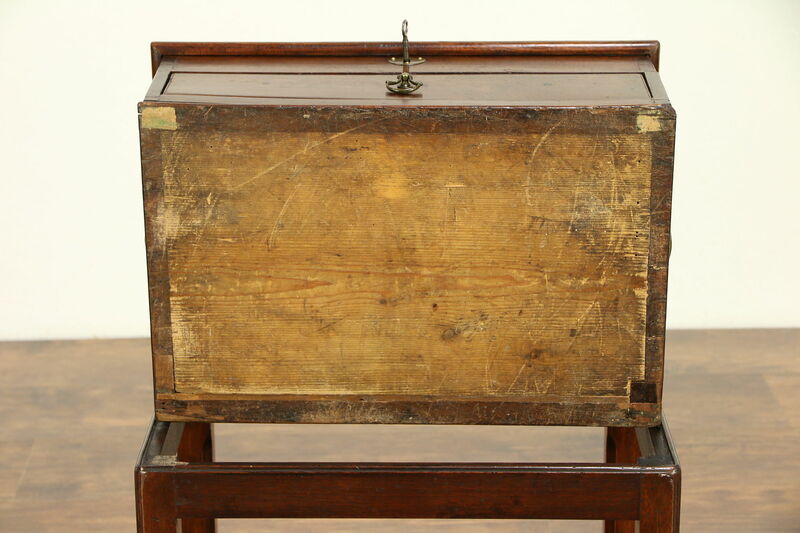 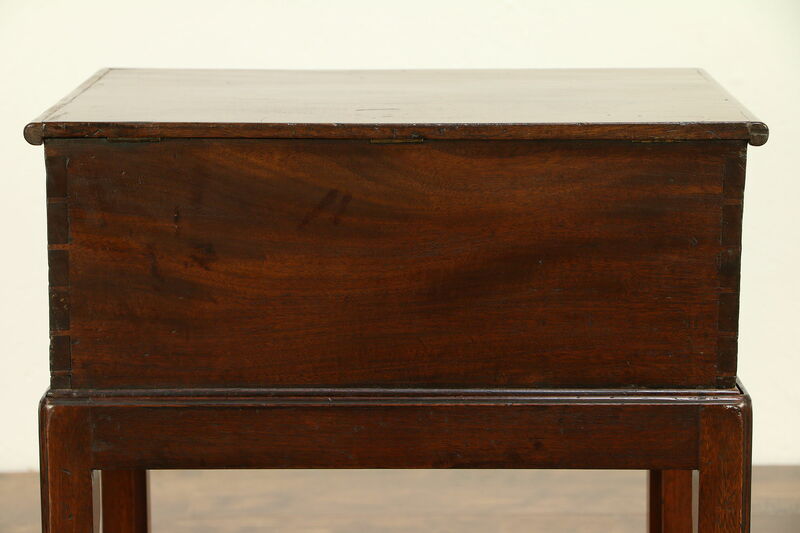 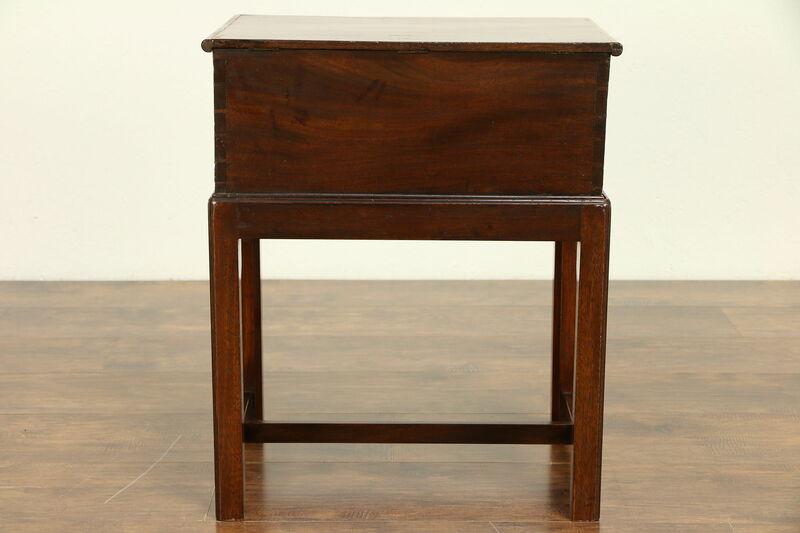 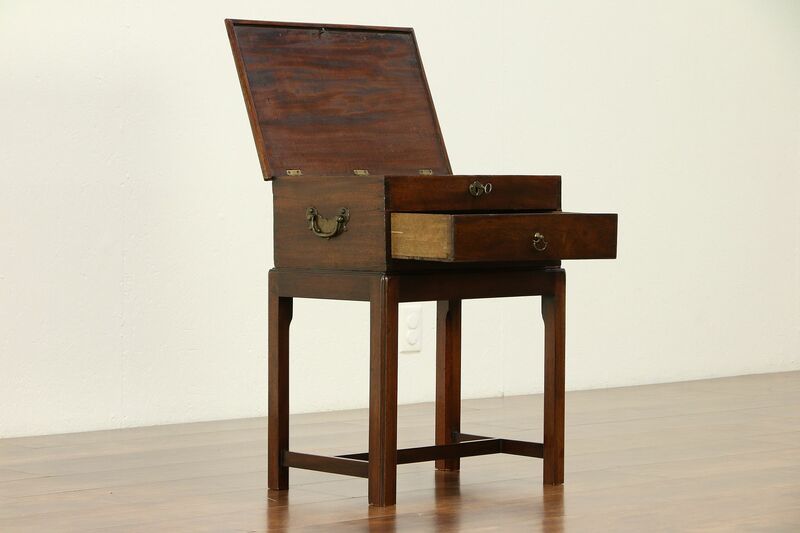 A writing and sewing box from about 1890 was hand crafted in England, and set on a later custom made base to use as a chairside table. 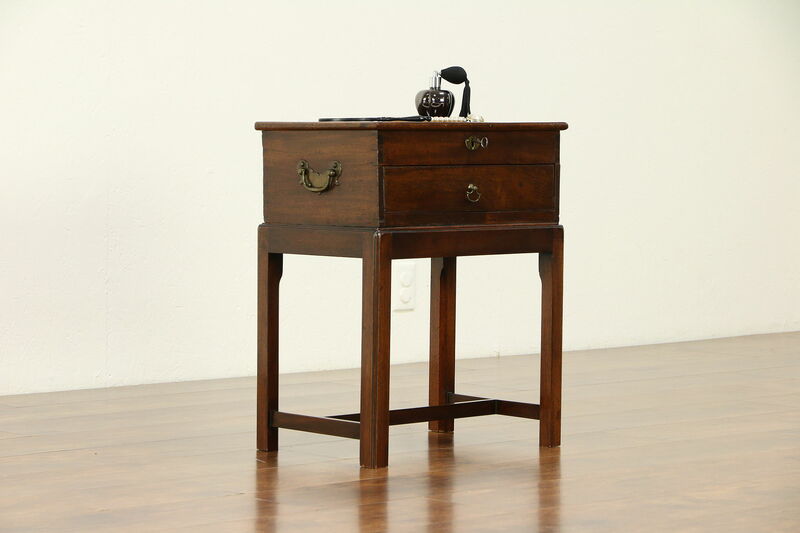 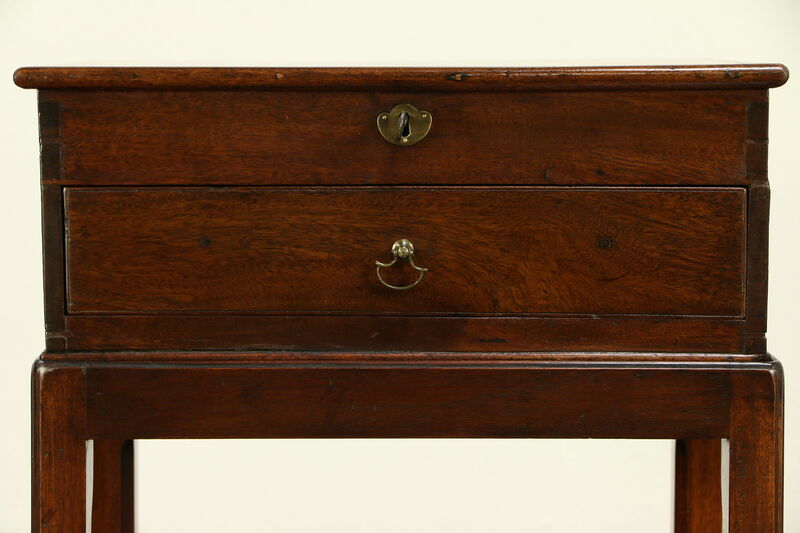 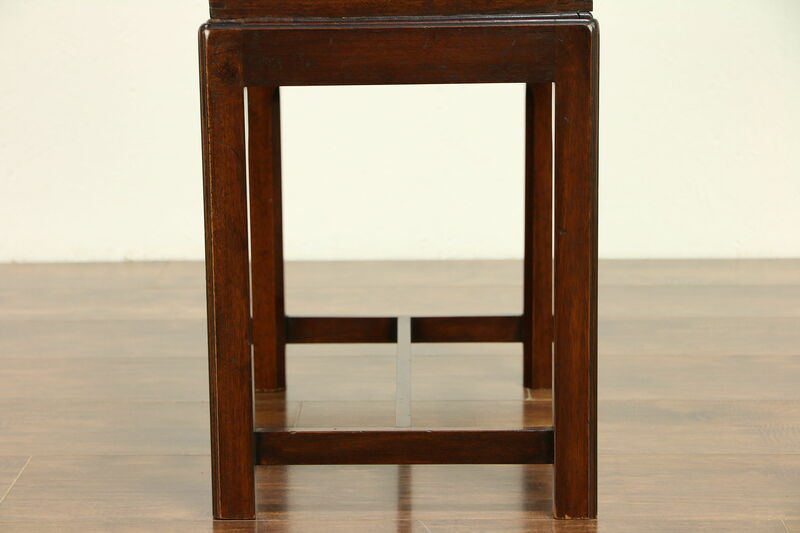 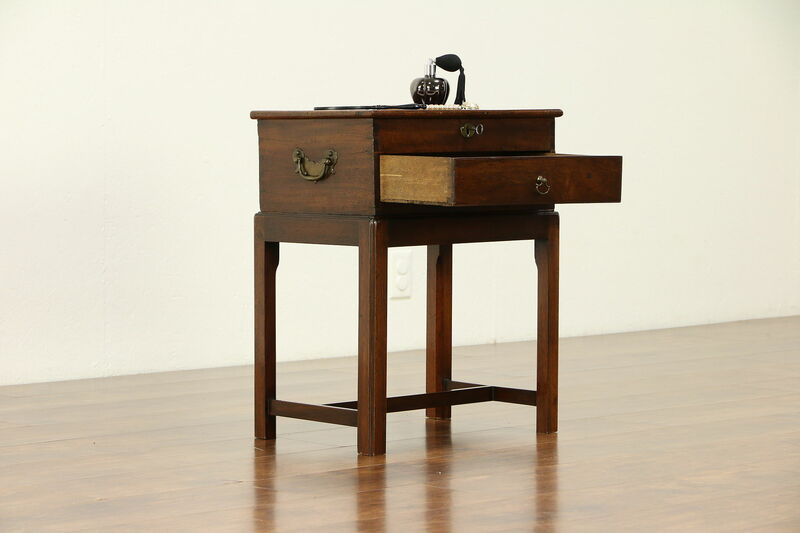 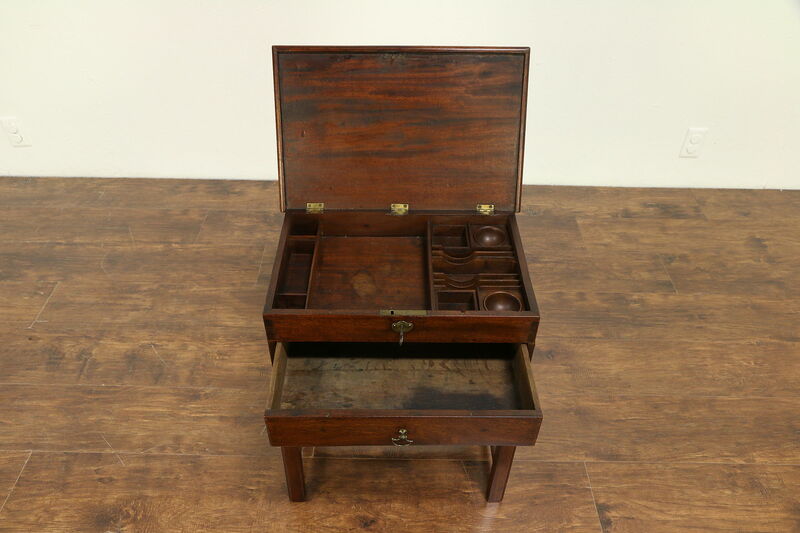 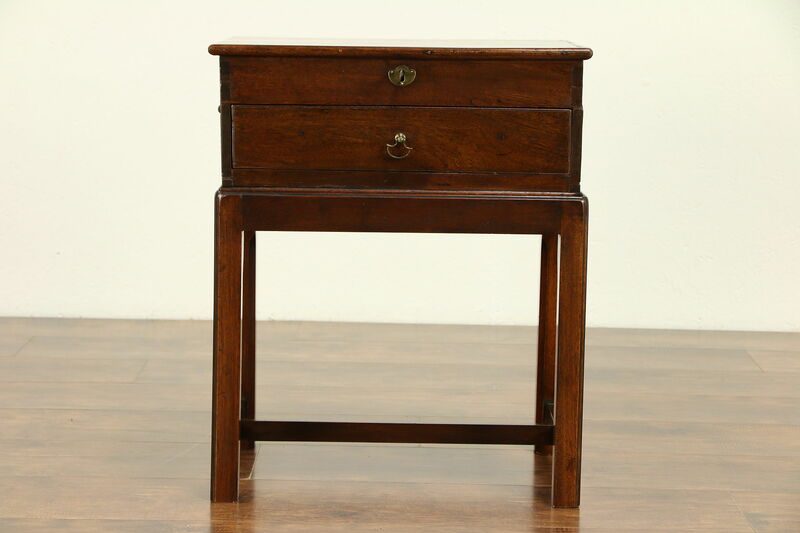 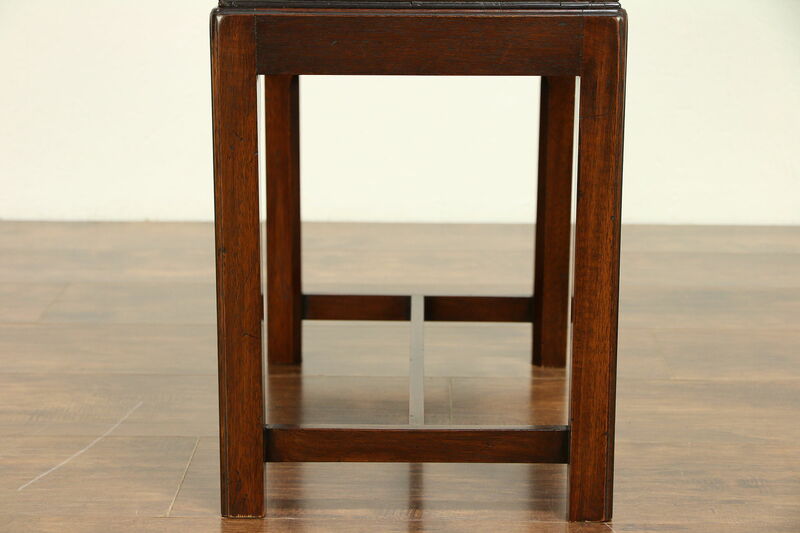 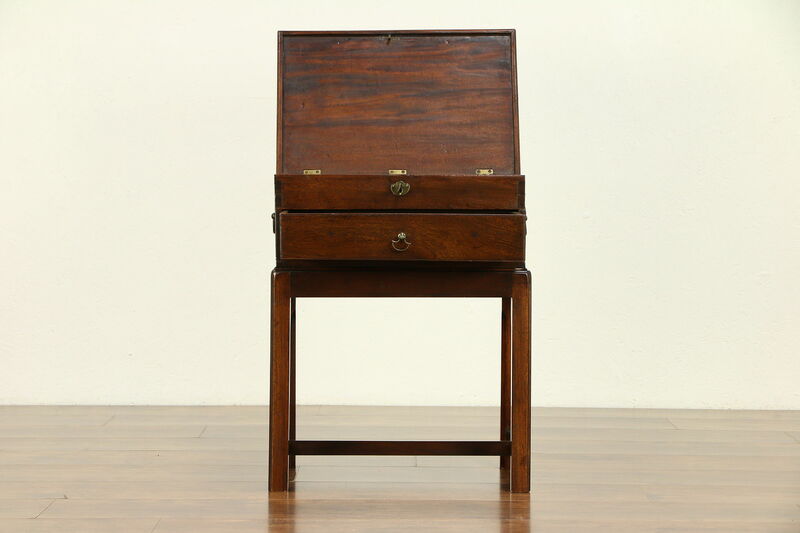 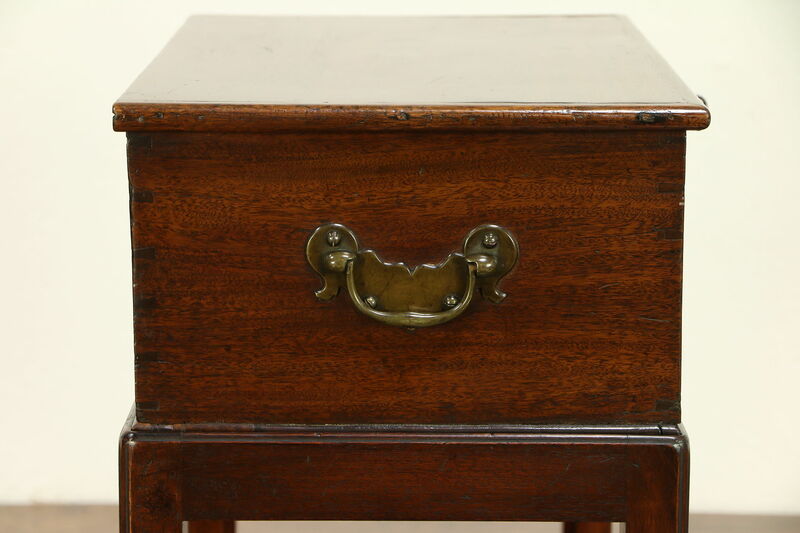 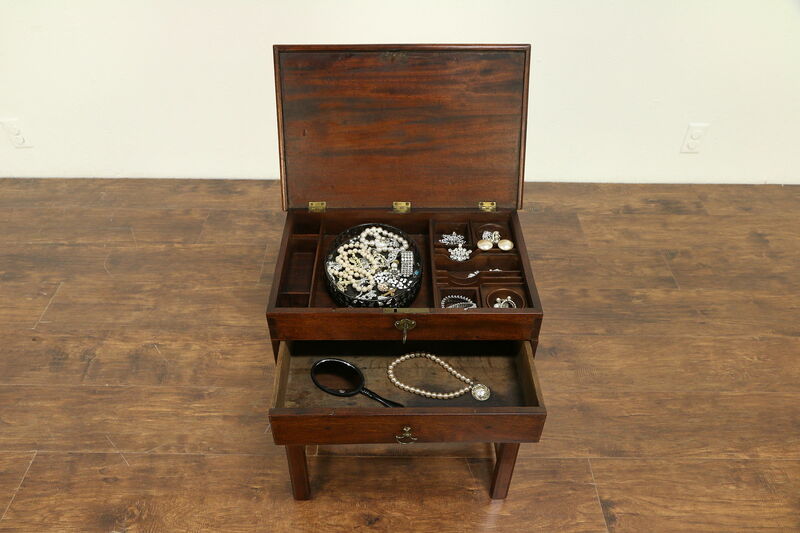 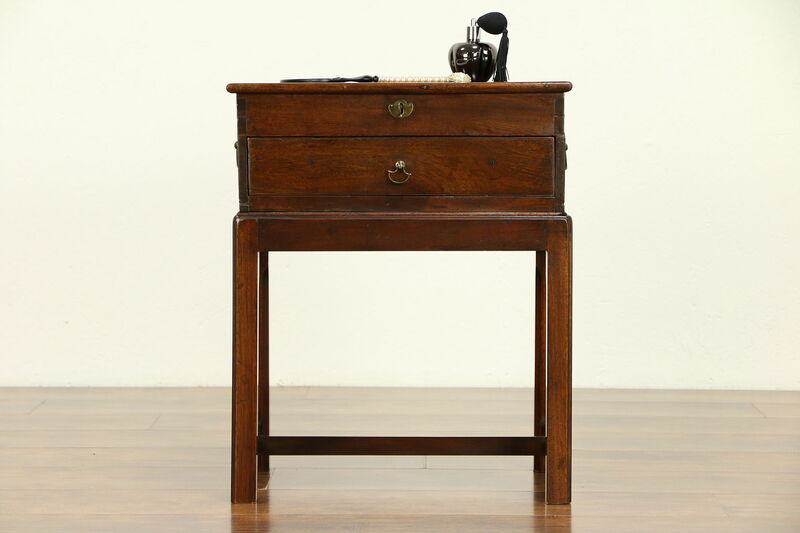 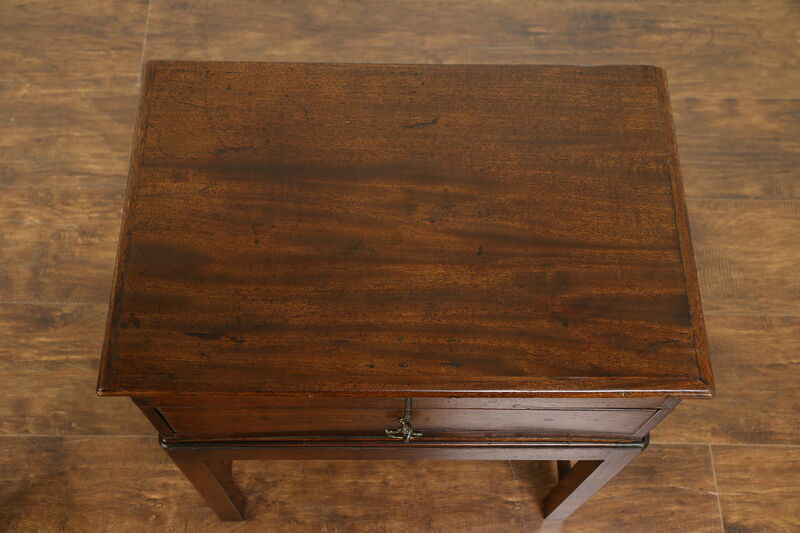 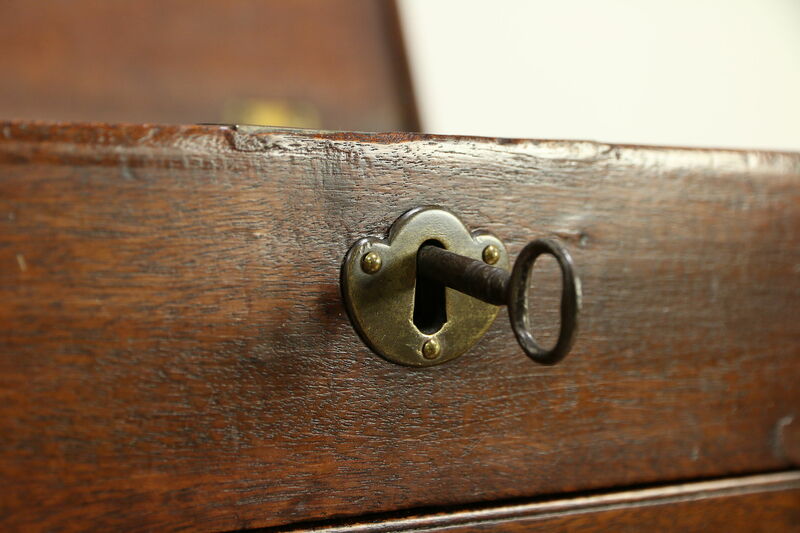 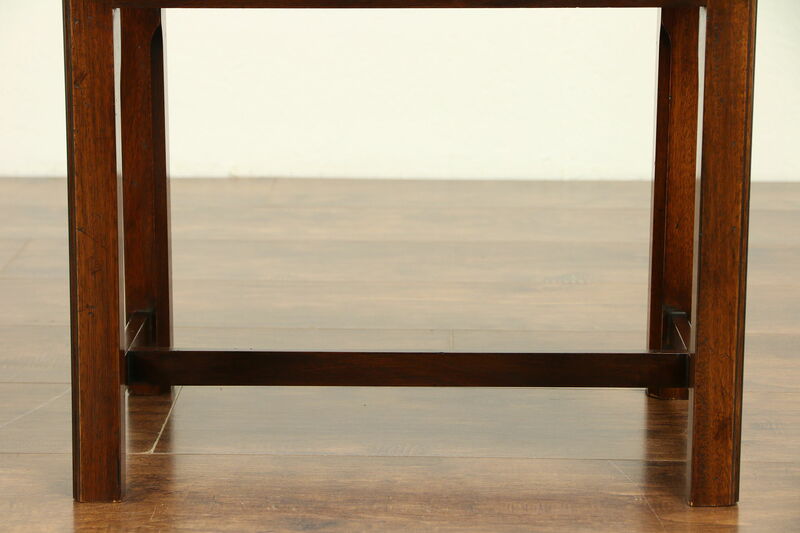 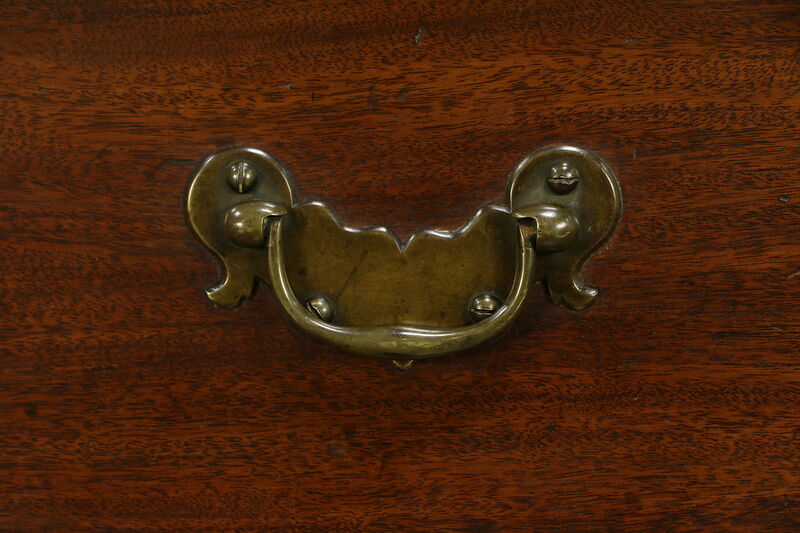 Solid mahogany, the locking lid opens to compartments for inkwells, stationery, playing cards and sewing supplies. 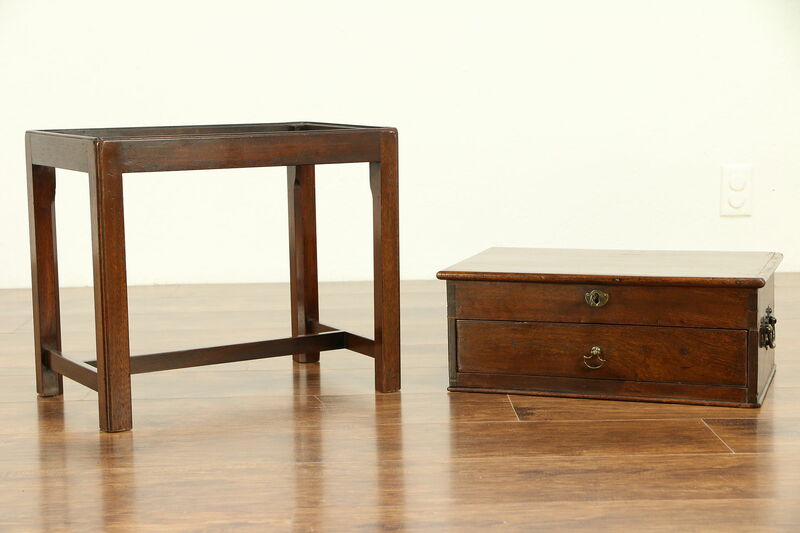 Size is 19" wide, 12 1/2" deep and 23" tall with the lid closed.